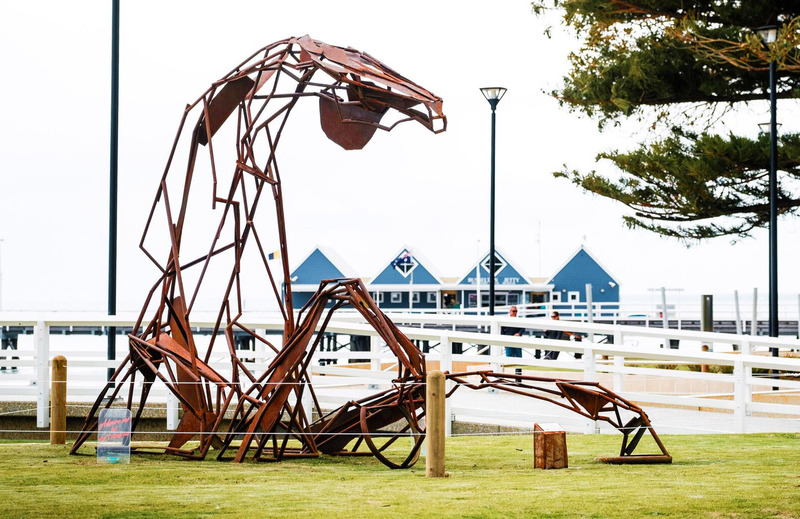 The sculpture that earned artist Harrie Fasher the Major Award at Sculpture by the Sea, Cottesloe 2018 has now found a new home in Busselton, Western Australia. ‘Transition’ (2016) was formally gifted as the final of three award-winning sculptures for permanent public display to the City of Busselton. Unveiling the sculpture in late August, Rio Tinto Group executive, Health, Safety & Environment Joanne Farrell said “We are delighted to have gifted three magnificent public artworks to Busselton, Rio Tinto’s largest regional FIFO hub, including this year’s award-winning piece from Sculpture by the Sea, Cottesloe 2018. It will take pride of place with the other two gifted works Column of Sound, by Harsha Vardan Durugadda and Parallel Thinking Space by Dale Miles. City of Busselton Mayor Grant Henley was thrilled to receive the sculpture on behalf of the City. “The sculpture is a spectacular addition to the artworks on the foreshore precinct. Over the years Rio Tinto has invested significantly in the cultural and social development of the City, and we are very thankful for their continued support. I have no doubt this magnificent sculpture will capture the imagination of residents and visitors alike,” Mayor Henley said. Harrie Fasher, ‘Transition (2016)’, recipient of Sculpture by the Sea, Cottesloe 2018 Major Award.